And now I'm all up on you, what'd you expect? What are you doing to me? What are you doing, love? What are you doing, love? 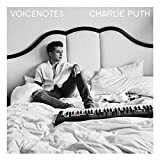 "If You Leave Me Now": Charlie Puth enthüllt einen weiteren Song aus seinem kommenden Album "VoiceNotes"